Memorials can be very personalised, but here are some suggestions for you and your loved ones. 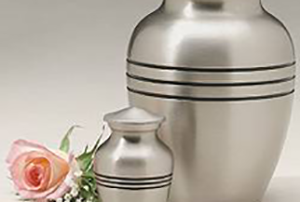 After the cremation service, you will most probably want to keep the ashes in a decorative urn. The final decision will be one that will suit your wishes. It’s always a good idea to keep the ashes in a plastic bag before placing them in the holder to prevent spillage. Gather together some of your favourite photos, even those odd photos that bring to mind some funny memories. Arrange them in an album and write the stories that these photographs tell. Decorate the album with things you associate with them such as their favourite hobby, pets they owned, sporting teams they admired, certificates and acheivements they earned, careers they had, anything that you feel is relevant and worth including. Display your photo journal in a place where it can be seen openly and turn it to a new page each day or week. There are certain times of the year that we feel the loss of our loved ones very deeply. Occasions such as Christmas, Birthdays, Mothers and Fathers Day, Anniversaries etc. If you feel particularly fragile during these times, then it is probably a good idea to try and be with others who can help share your grief. On these occasions, do something in memory of the person who has died. This can be something they enjoyed doing when they were alive such as going to the movies, eating at their favourite restaurant, going fishing, the zoo, have a picnic in their favourite park, listening to music, playing their favourite sport. Continue special traditions that your loved one enjoyed to do during these occasion. If it’s a birthday, buy a cake and light some candles for them. If it’s Christmas, spend the day with other family members and friends. You could give gifts that once belonged to your loved one, jewellery, photos or hats are some ideas. On anniversaries, buy yourself a gift to mark that particular milstone. Pay a visit to the cemetery during the day and have a chat to them as if they were here. Take photos of the day and keep them in your photo journal. Create a memorial garden in your own backyard. A memorial garden can be good for people who find it difficult to visit the cemetery. You could sprinkle your loved one’s ashes in your garden or if you live in rented premises, keep the ashes in a waterproof container so that you may remove them in the event that you move house. Add flowers and plants that they liked. Place a happy photo (one that is in a waterproof enclosure in case of rain) in a prominent position in your memorial garden. Ensure it can’t get blown away or damaged. Include such items as garden ornaments, pebbles, windchimes, things that will give you a feeling of peace as you sit and reflect. A comfy chair or bench or even just a wooden log to sit on. A waterproof box filled with items that belonged to the person can be kept in your memorial garden. Holding these items as you sit in your garden can help you to feel closer. Items of clothing often still hold the scent of the person and can be a good thing to keep in your box of memories. Balloon releases are mostly held at a funeral or memorial service whereby family and friends each release a balloon into the air, quite often with a message attached to it. A ‘balloon release’ could be held annually to mark the anniversary of their passing. Releasing baloons can symbolize many things such as sending prayers & messages to Heaven, the soul taking flight to Heaven, a sign of letting go of grief. Fill the balloons with a small amount of flower or bird seeds. Place a small amount of the cremated ashes in the balloon and release it over an area that was special to your loved one. Try to use something other than curling ribbon or anthing plastic or non bio-degradable. String, cotton or nothing is preferable. If releasing a large amount of balloons, do it somewhere away from rivers and oceans. This prevents the popped balloon remains from falling and harming aquatic life in the area. Latex balloons are normally 100% bio-degradable, foil balloons are not. Instead of attaching note cards to the balloons, use a black marker and write your message on the balloon.